I bought the Real Techniques Sculpting Set on a Superdrug sale a little while ago and I love it. It's not by any means a complete set or something I'd recommend to someone who's just starting their brush collection and want to buy their first set. However, this has offered me 3 great brushes to complement my existent collection, as I still didn't have anything quite like these. If I'm honest, I'm not a massive fan of Real Technique's eye brushes, as I think there are softer and better brushes in the market. Does anyone agree with me? But when it comes to face brushes, I think they nail it. This is such a great contouring brush but I also love it for bronzing up the face and even applying blush. It's very dense and soft. It's my go to brush whenever I use my Soleil Tan de Chanel Bronze Universel. Really like this brush for blending my concealer or setting it with powder. It's also a good alternative for highlighter, especially those with cream formula. And I believe it could also be used for precise contouring, although I haven't tried it. This is my first ever fan brush so I can't really compare it with other to say if it's better or not. All I know is it's very soft and due to it's duo fibre nature, applies highlighter very subtly and blends it beautifully. I really enjoy using it with my Mary Lou Manizer from theBalm. So overall, I think this is a great set for those who, like me, lack these types of brushes in their collection. 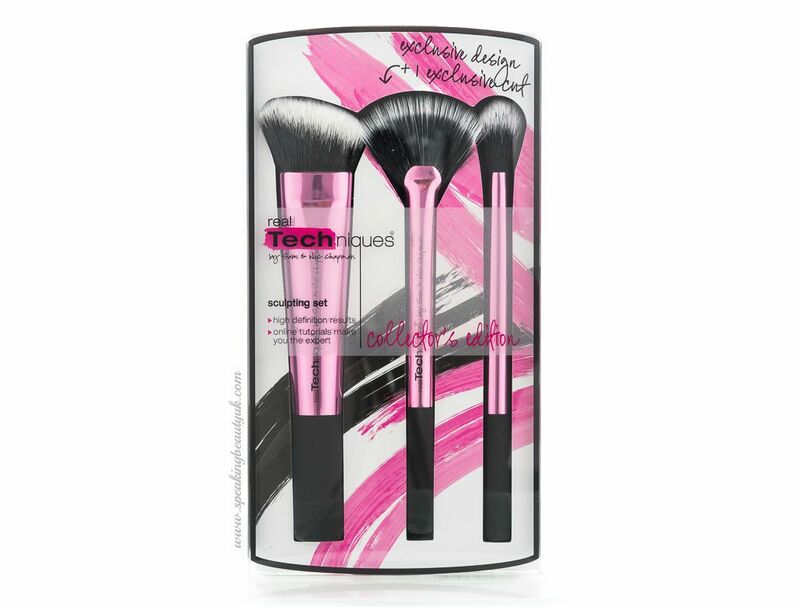 It retails for £20.99, which I personally think is pretty affordable for 3 great quality brushes. 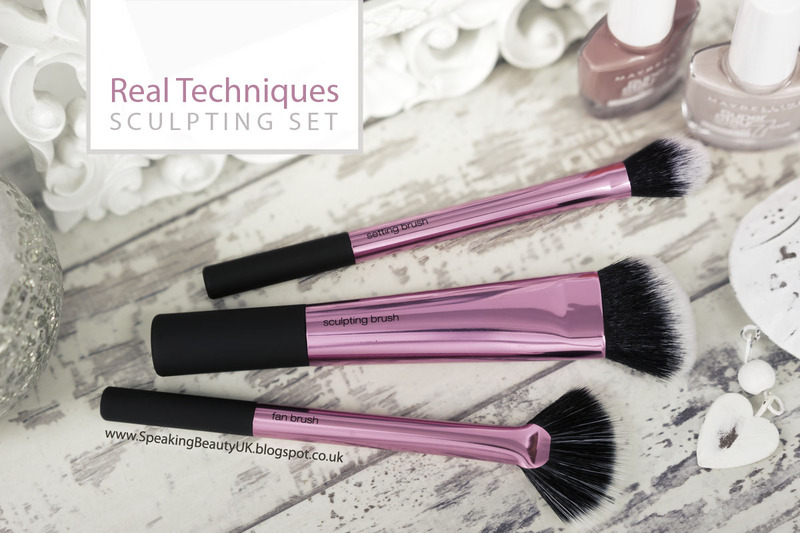 Alternatively, if you're not interested in the whole set, you can buy both the Real Techniques Sculpting Brush (£9.99) & the Real Techniques Setting Brush (£6.99) separately.